A safe, sustainable future is certainly not assured, granted the awesome power of vested interest and inert bureaucracies. But on the evidence provided in Rays of Hope, such a future appears well worth fighting for. Major energy transitions always bring profound social change. The substitutions of coal for wood and wind helped usher in the industrial era. 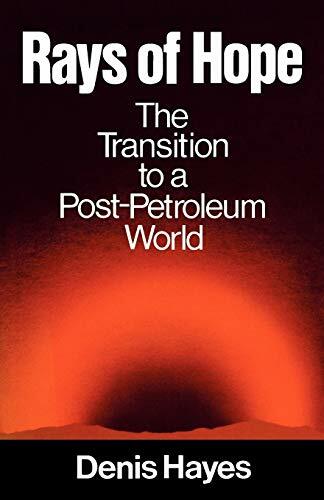 Petroleum, in turn, revolutionized our whole approach to travel, restructuring cities and shrinking the planet. Now, at the twilight of the oil age, we face another energy transition in the certain knowledge that it will reshape tomorrow’s world.